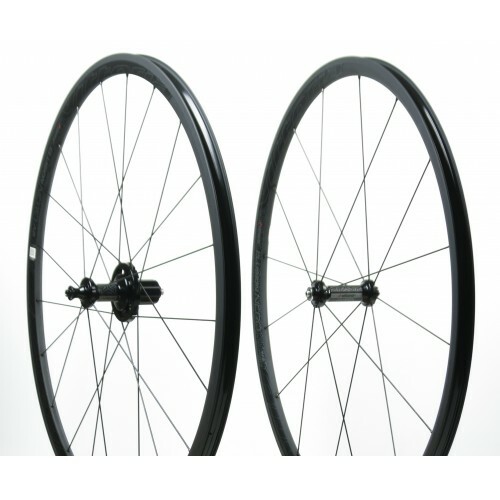 Plasma electrolytic oxidation, also known as electrolytic plasma oxidation or microarc oxidation is the name of the process that gives the Vittoria Elusion Nero their all-over black surface. In contrast to normal anodizing here the voltage is being raised until it comes to sparkling discharches in the surface (actually the rim starts gleaming during the process). The result of this treatment is an enhanced wear resistance of the side walls and a significant improvement of braking characteristics. Just by sheer fortune the rims get an interesting unique look by the treatment. 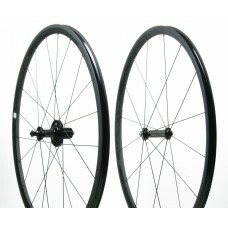 The width of the Vittoria Elusion Nero rims is 23 mm, the height is 26 mm up front and 28 mm out rear wheel. 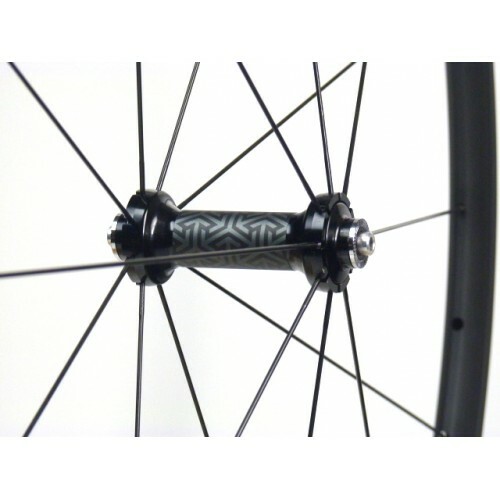 Thanks to the rear rim's off-center design and the 14:7 spoke pattern the spoke tension on both sides of the wheel is the same. Thus riders may expect extraordinary stiffness plus the oversized flange on the drive side gives perfect transmission of power to the wheel. 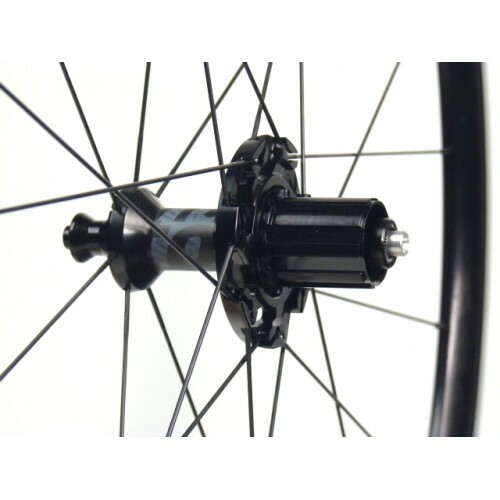 The SwitchIt® freehub can be changed without tool and hub maintenance can be done very easily.